The 10 Best Cake Shops in Washington! Who said you couldn’t have your cake and eat it, too? They obviously haven’t visited any of the 10 best cake shops in Washington State. Whether you’re looking for a place that can make a special customized cake, the perfect complement to a graduation party, or just dessert for the family, you’re sure to find a winner in Washington. Do you love all things tropical? Then you need to stop by Cakes of Paradise Bakery in Seattle for a mouth-watering taste of paradise. With delicious and unique flavors like haupia, mango, guava, pineapple-coconut, and passionfruit, you can order a specialty cake for any occasion. Open every day of the week except the third Sunday of each month and major holidays, Cakes of Paradise has been in operation since 2008. While you’re there, try some of their other special desserts, a malasada, expresso, Hawaiian smoothie or soda. Midori Bakery, located in Redmond, Washington, is a patisserie and cake boutique that specialized in French-influenced pastries and desserts. With items that change daily, they can feed one, two, or a party. 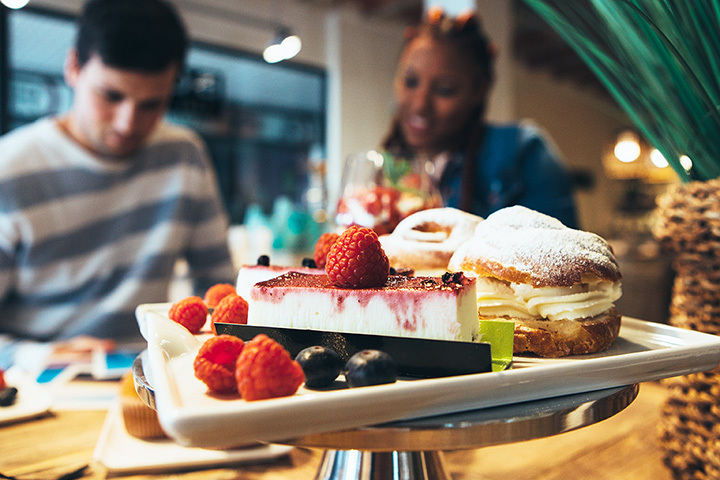 You sweet tooth will be dancing for joy when you try one or more of their signature cakes or tiramisu verrines, and they have cream puffs on weekends that melt in your mouth. Midori Bakery is open for wedding cake tastings for the coming year. Featuring German baked goods, sweets, groceries, and sandwiches, Hess Bakery & Deli in Lakewood, Washington, is a hidden gem among bakeries. Considered a scratch bakery where everything is made in house, you’ll find a variety of breads like rye, pumpernickel, and sourdough and pretzels, German Brotchen, and cakes. This family-owned store has everything you want in one convenient place every day except Sunday from 9 a.m. till 6 p.m. and until 4 p.m. on Saturday. Sweet Themes Bakery in Kent, Washington, has discovered the recipe for success. It involves combining a love of sweets, delicious creativity, a celebration of life, and add fun and laughter on top. Open every day except Monday, Sweet Themes Bakery has custom-made cookies and cakes for any special event. They use fresh wholesome ingredients and are happy to discuss a variety of flavor choices with you. Pies, cakes, scones, cookies, cobbler bars, breads, croissants, and cheesecake. The list goes on and on, but one thing is four certain. The Tattered Apron Bakery in Puyallup, Washington, knows how to satisfy your sweet tooth. Open seven days a week, you’ll get homemade flavor in every bite. Talk to them about making the cake for your next special occasion. The name should be Cozy Cottage Bakery & Café because you’ll feel the love when you walk through the door. This delightful bakery and café features a light wooden interior with larger-than-life bakery utensils decorating the walls. You can take your baked goods home, eat inside the café, or outside on the picnic tables when the weather is warm. Serving breakfast and lunch with a nice selection of pastries, paninis, and sandwiches, you can get dessert cakes, pies, and cupcakes. They special order baked goods, too. Baron Patisserie in Vancouver, Washington, is a French-inspired bakery that serves amazing pastries like raspberry pear tarts, pecan pie, and walnut brownies that will melt in your mouth. They’re almost too pretty to eat. They also make incredible cakes like strawberry mousse cake and coconut mousse cake. Truffles Cakery is a specialty bake shop located in Olympia, Washington. This is where cake making becomes art with the designer cakes that are sure to be the centerpiece of your next event. Decadent and delicious, each item is created by inspiration and is unique. Pricing is based on the size and complexity of the finished product, but satisfaction is guaranteed from the first bite to the last. Open five days a week, and closed on Saturday and Sunday. Created from a love of baking and experience working in bread, pastry, and restaurants, owner and baker Brianna Day delights in making pies, cookies, bread, cakes, tarts, brownies, and other sweet treats at Spilled Butter Desserts in Tacoma, Washington. Whether you have a birthday, wedding, or other celebration, let them eat cake from this little bakery specializing in deliciousness. Give me cakes, Nothing Bundt Cakes will be your new saying after the first bite of the perfect cake from this Mill Creek, Washington, bakery. Handcrafted and made with love, every cake uses the best ingredients and has been bringing joy to the masses since 1997. These unique Bundt cakes come in a variety of flavors like peppermint chocolate chip, red velvet, pecan praline, and white chocolate raspberry. Open every day except Monday and major holidays. View more Washington Bakeries and Pastry Shops.